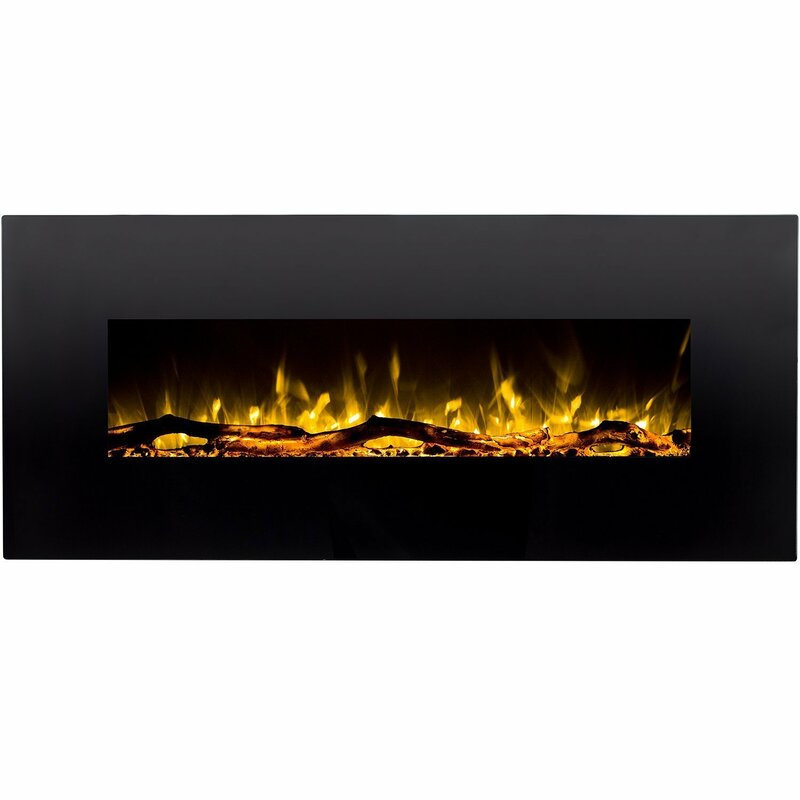 The black Denali is an astonishing 60 wide electric fireplace with superb vivid flames and a black modern frame that creates a statement in any room of your home or office. 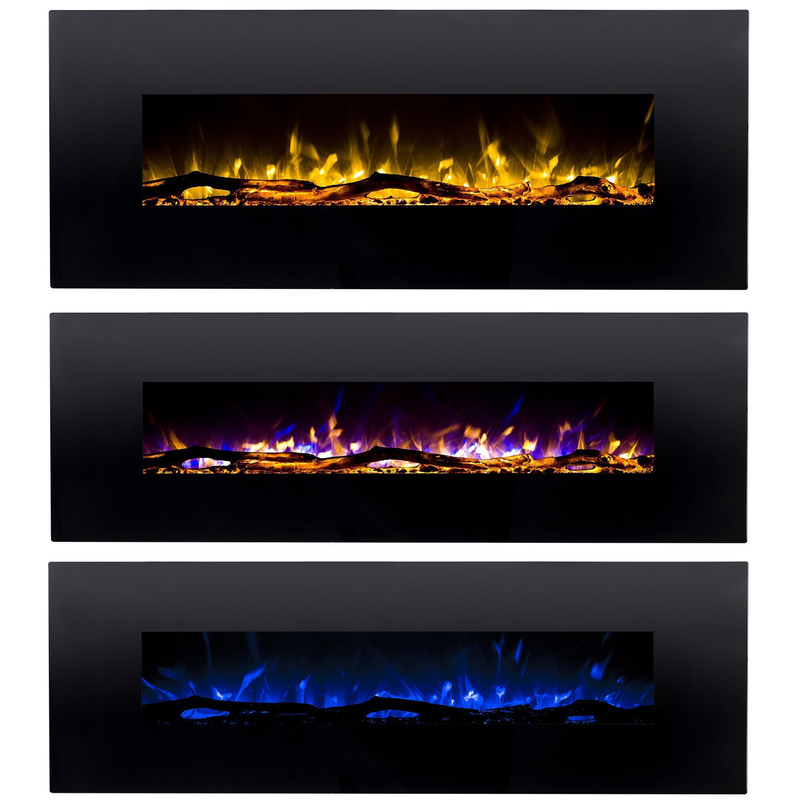 The Denali wall mounted electric fireplace delivers the ambiance of a fireplace without the fire or fumes. You can enjoy three settings of high, low and no heat. In addition, the Denali has the ability of comfortably heating up a 400 sq. ft. room. With this electric fireplace, you no longer need a firewood rack, fireplace tote, firewood log carrier, haul wood, purchase gel, ethanol or run gas lines. This fireplace is smokeless, soot free, and odorless. In addition, you may use this fireplace outdoor (under if covered so the fireplace is not rained on), enjoy the ambiance as a fire pit without the smoke or convert Gas Logs, Wood Log, gel fireplace, any other Fireplace Insert or Wood Burning Fireplace Insert to electric has never been easier. You may also build a fireplace mantel around this fireplace or insert it into a TV Stand. This fireplace is eco-friendly, very ecomonical and ventless that works on standard 110 volt outlet. 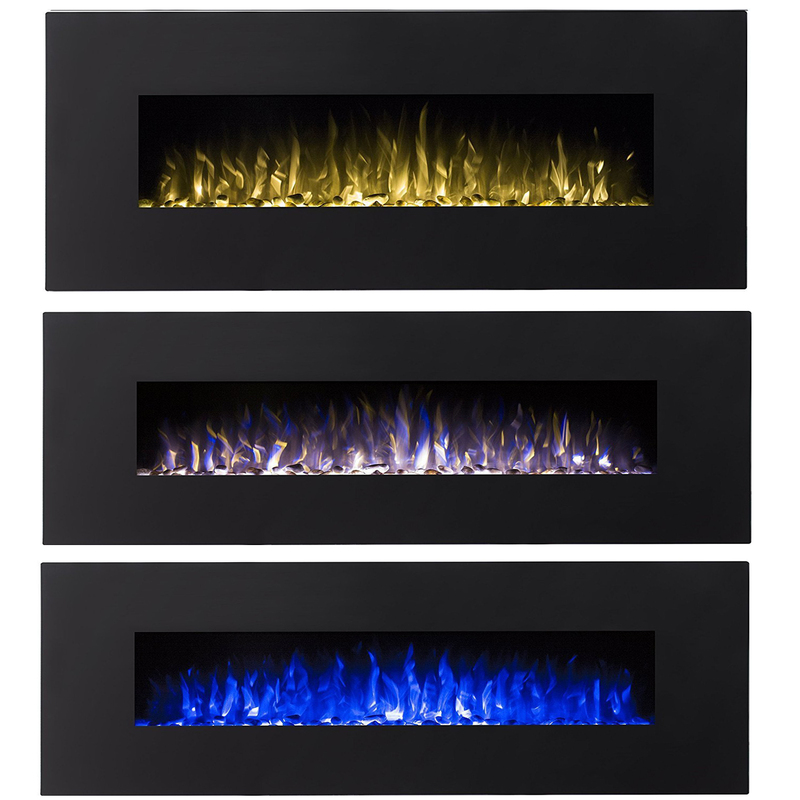 REALISTIC FLAME: Its realistic flames (3 Colors) are set in a pile of faux gas logs without the need of running gas lines for gas logs, carrying firewood, smoke, ash clean up, and other duties fireplace owners are used to, that lends to authentic fireplace without the hassle. The log set lies behind durable tempered glossy glass with a contemporary matte black frame. Enjoy this vent free, smoke-free air while feeling warm during a cold night. Overall 60 x 4.59" x 21.65"
THREE HEAT SETTINGS: Perfect for the cold seasons, the Regal Flame electric fireplace insert features three heat settings: high, low, and no heat. Heat vent is located on the top middle front area. The heat level can be adjusted according to the userÍs preference, making this fireplace a functional and practical fixture. The fireplace can be turned all the way up in freezing weather to keep you snug and toasty. HASSLE-FREE WALL MOUNTED INSTALLATION: This 60-inch-wide wall mounted electric fireplace only weighs 54 pounds, so it is easy to install. 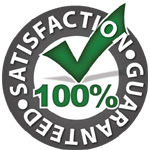 Enjoy a hassle-free and simple installation using the step-by-step instructions provided. An easily mountable bracket is included for mounting the fireplace to a wall. You no longer need to stack firewood on your firewood rack or clean up ashes to turn up the heat. ELEGANT HOME DECOR: Fill a big blank wall with a touch of contemporary modernity and elegance while accentuating your house into a home. 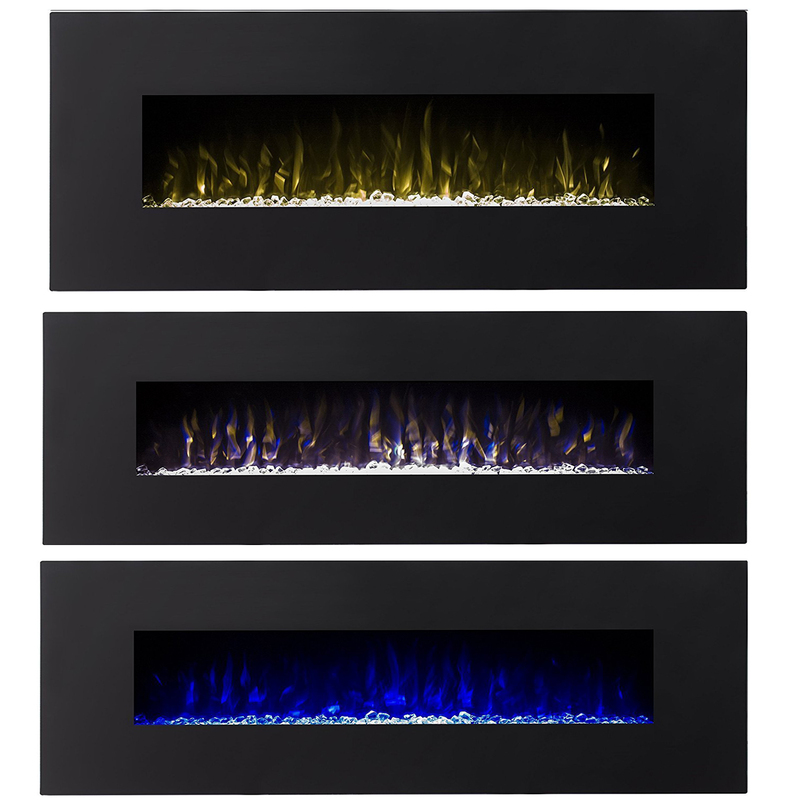 This electric fireplace will serve as functional decor for your bedroom, library, dinning room or family room. It can be used at any time of the year, since it has a dual-mode feature that allows the fireplace to operate with or without heat. A built-in timer for auto-shutoff can be set for 30 minutes to 7.5 hours. Cool looking fireplace. Just had it installed and it looks great.